As a merchant or business owner, you could benefit greatly from shifting from cash to electronic payments. 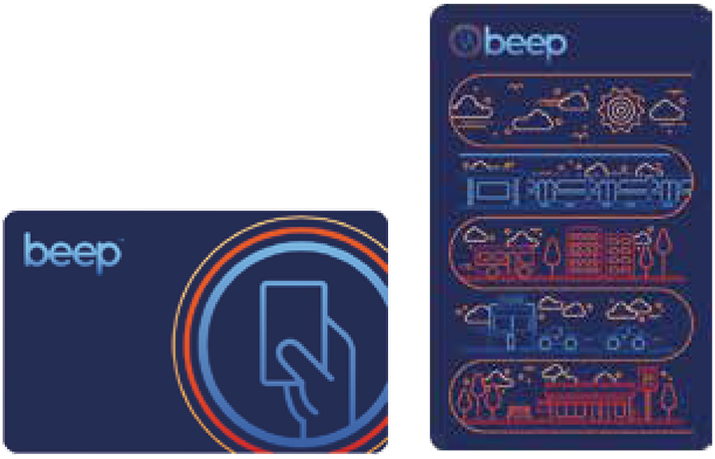 By accepting beep™ transactions, you could lower the cost of doing business, improve customer loyalty, make it easier to track transactions, and potentially lessen leakage of funds. No KYC (Know Your Customer) required. Can be used immediately after loading money to the card. No forms to fill out, no approvals to wait for. Reusable tickets that are valid for a single trip and can be used in the automatic gates of the light rail systems. These cards are surrendered in the exit gate of the train stations. Works the same way as any beep card but is branded with the partner’s logo or campaign elements. With its 4 year validity, this card will be in the consumer’s wallet for 4 years guaranteeing the advertiser extended brand exposure. AFPI has accredited a number of card vendors that are certified to manufacture and initialize beep™ cards. Issuing partners can order cards with beep™ functionality from these manufacturers directly. 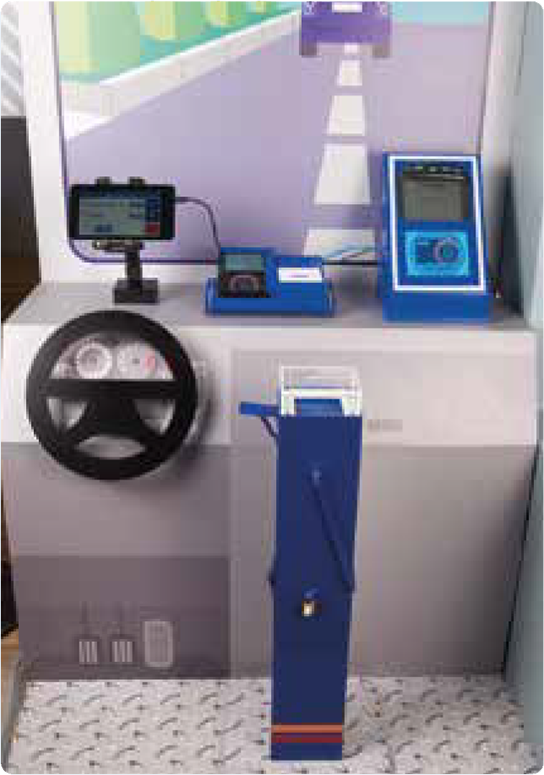 AFPI offers automated fare collection solutions for operators of all kinds of public transport vehicles. We support multiple methods of fare collection - from contactless stored value cards to cash payment for paper or single journey tickets. 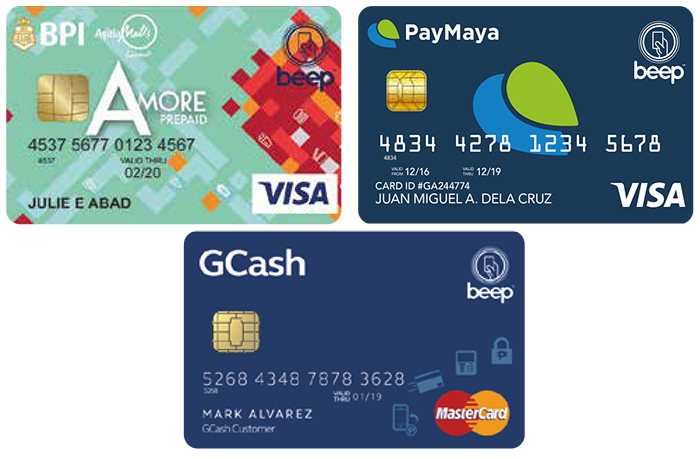 The contactless stored value cards are interoperable across all beep™ fare collection terminals, which means that passengers will only need one card for all modes of transport, be it Metro Manila’s light rail system, a P2P bus or a jeepney/PUV. AFPI offers an Automated Fare Collection System for mass transit environments. The system supports stored value cards, single journey tickets, season passes and concessionary cards. The funcitonality of the system is very similar to systems that are installed in Singapore, HK and other major cities in the world. 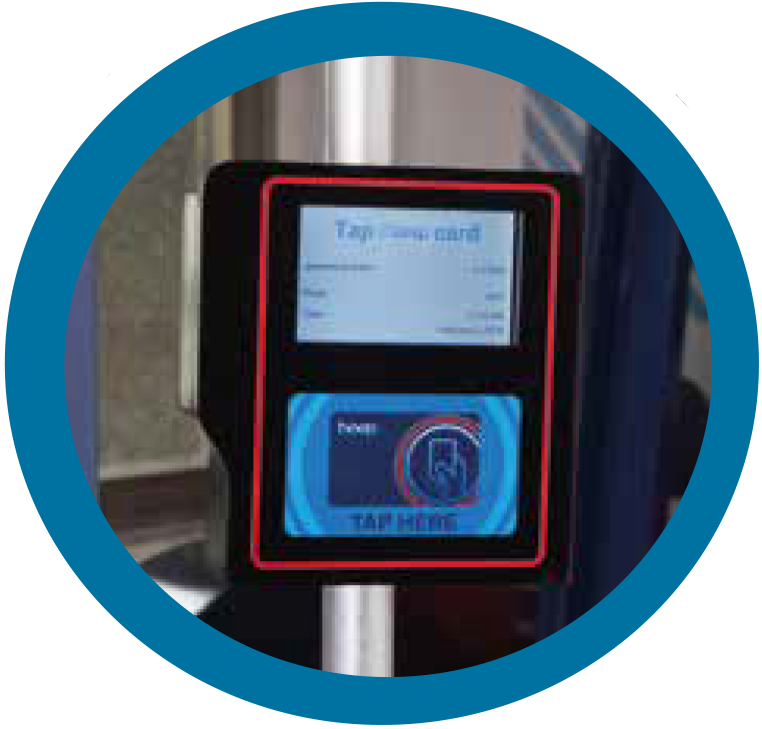 The access gates of our fare collection system for mass transit support at least 35 passengers per minute entering or leaving the paid area. The access gates automatically deduct the correct fare, apply discounts for concessionary cards or verify and retain single journey tickets. The transport operator can sell tickets at unattended ticket vending machines (TVM) or at POS devices installed at ticket sales counters. The transport operator has access to a variety of reports that aggregate transaction or provide individual transaction details. AFPI processes transactions every day and transfers settlement funds on the next available working day. City bus operators typically allow passegers to board and disembark the bus at various stops along its route. AFPI’s system for City Buses supports such distance-based fare calculation by deducting the maximum possible fare at the point of entry and refund the unused money at the point of exit. Operators may choose other methods of deducting funds on entry and exit. Our equipment determines the position of the bus with GPS receivers and applies the correct fare using a distance or stop based fare table. The system automatically applies discounts for concessionary cardholders. For P2P routes, where passenger pay a single fixed fare, AFPI offers on-bus terminals (bus validators) and terminals that are installed at the bus stop (terminal validators). In all cases, the passenger taps the card only once to pay the full fare. The city bus system can be combined with AFPI’s cash ticket product to create a complete fare collection and ticketing solution. AFPI uploads transactions regularly throughout the day, processes transactions every night and settles fare revenues on the next available business day. The bus cash ticketing solution provides on-bus ticket sales for cash payments. 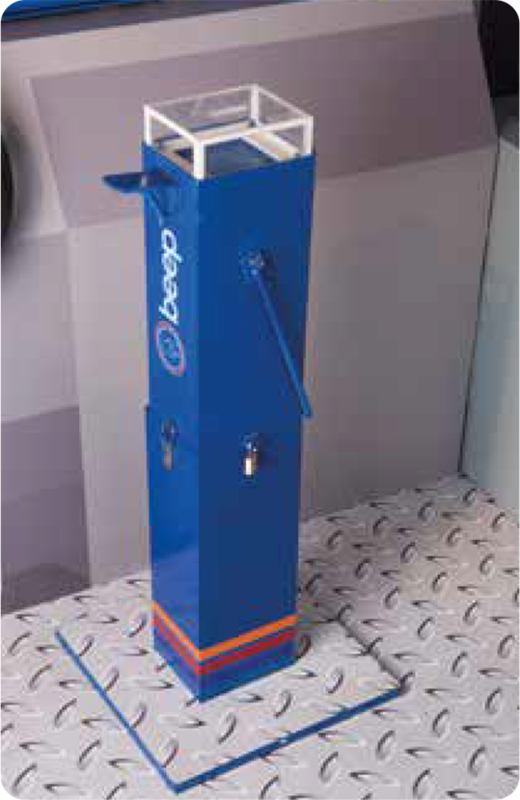 Under this setup, the passenger deposits the cash in a secure cash collection box (as shown in photo), which is designed to prevent unauthorized personnel from having access to the cash collected. The driver uses a terminal to print paper tickets and reports. Drivers and dispatchers have individual identification cards that allow access to various functions on the driver terminal. Configuration parameters such as the route or the bus number can be changed locally by the dispatcher or remotely from AFPI’s backend system. 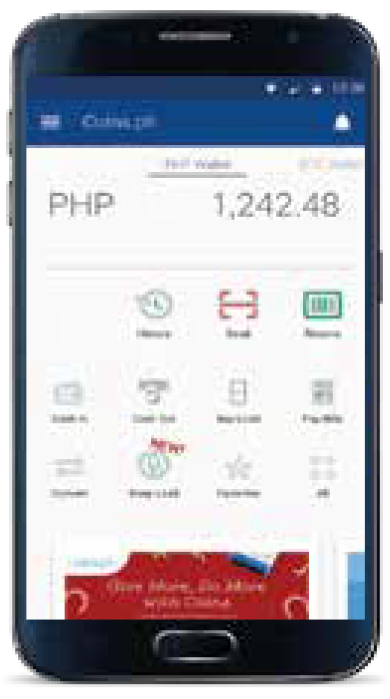 The solution tracks all cash payments by driver, bus, route, trip and time. The collection, counting and depositing of money is supported by reports that are printed on the bus, whenever a cash collection box is removed or an empty box is installed on the bus. The backoffice reconcilation of cash payments is supported by reports that are generated by AFPI’s backend system. 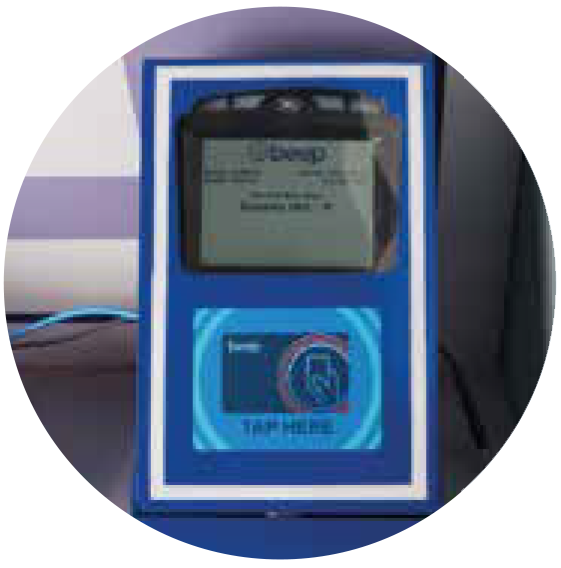 AFPI offers full fare collection services, including ticket sales at the terminal or beep™ card payments on board the bus. The simplest variant of the jeepney AFCS solution is the single passenger terminal, fixed fare product. Passengers tap their beep card at the terminal to pay the fixed fare and the operator receives a daily report of the previous day’s transactions. Cash payments are managed independently by the operator. The more sophisticated variant would include a passenger terminal with distance based fare calculation, a driver console supporting cash ticketing and a printer. Passengers may either tap their card when they enter and exit the vehicle or pay by cash. For passengers paying cash, the driver would use the driver terminal to record the transaction and issue a paper ticket (optional). In all cases, our terminals upload transactions and download parameters in 15 minute intervals. Smaller merchants have the option to deploy a small handheld device that is not connected to any of the merchant’s systems. AFPI offers handheld devices that are self-contained, with their own network connection, acknowledgement receipt printing, security and processing capabilities. Alternatively, a merchant may opt for a small reader that must be connected to a mobile phone via Bluetooth. 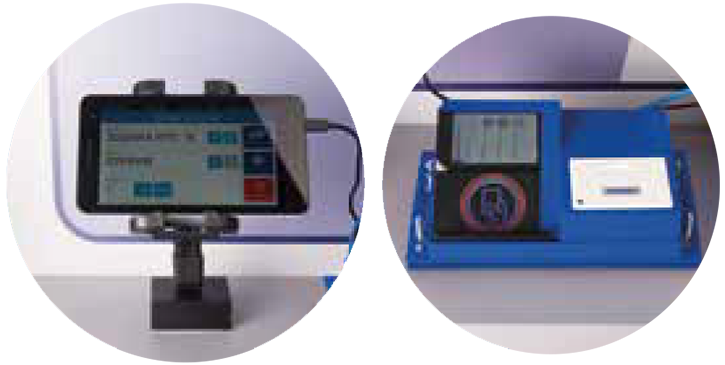 Merchants that have installed point-of-sale (POS) devices in their shops can connect to one of AFPI’s retail readers for a fully integrated beep™ acceptance and load system. 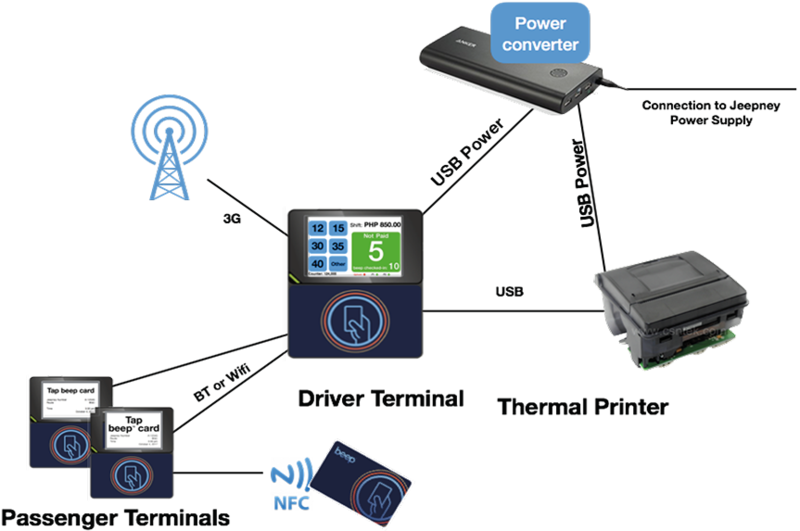 The AFPI all-in-one retail reader comes with its own network connection to upload transactions and download parameters, software and blacklists to and from the AFPI backend systems. 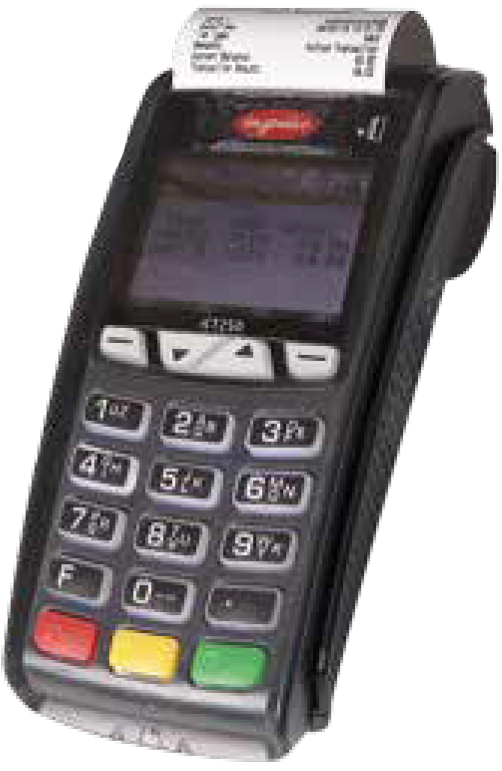 The retailer’s POS device does not need to be programmed to interact with the beep™ card or the AFPI clearing house. In order to initate a transaction, the POS sends a small instruction to the AFPI retail reader and receives information about the success or failure of the transaction via USB. 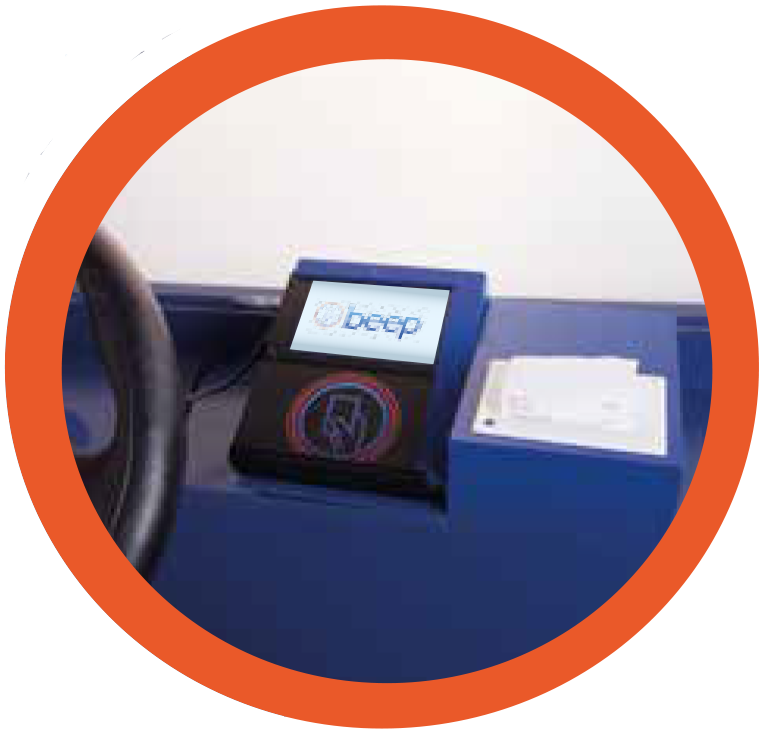 AFPI offers unattended kiosks where beep™ cardholders can load their cards on their own. These kiosks can be deployed in bus terminals. 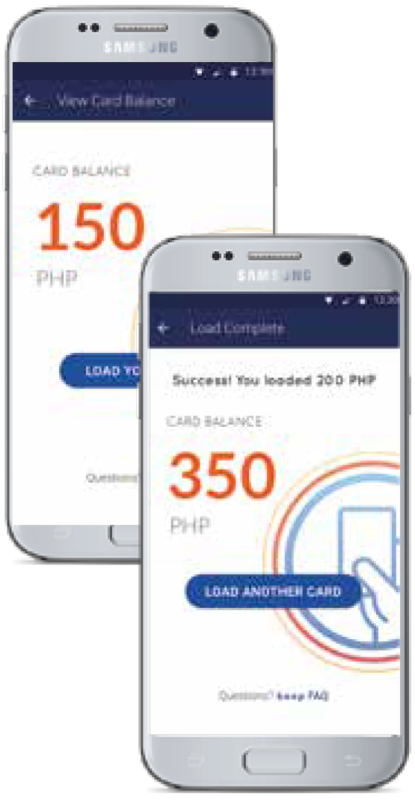 Through the Coins.ph app, beep™ cardholders can load and check the balance of their card by simply tapping their cards on their NFC-enabled Android phones. Loading can be done anytime, anywhere. 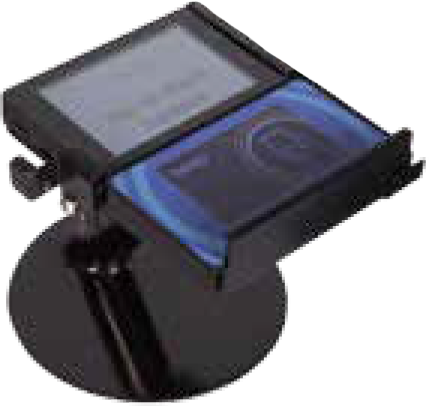 AFPI can also provide a small handheld terminal that can be used solely for loading beep™ cards. These devices have their own network connection and can be used to print acknowledgement receipts and other reports. These devices will require manpower to operate and accept cash. AFPI operates a 24/7 cardholder helpdesk. Customers may contact AFPI with any question about the beep™ card, a transaction or the balance on the card. 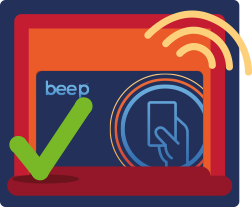 that processes all transactions on all beep™ cards and any acceptance or load device in the system. Settlement funds are deposited in the settlement account of the respective entity on the next available working day after the transaction took place. We also provide dispute resolution (typically within 7 days). A variety of settlement reports help merchants, transport operators and other entities to reconcile their own transaction records with the AFPI settlement information. We provide reports that contain aggregated information as well as individual detailed transaction reports. Share with us your contact details and we'll get back to you.